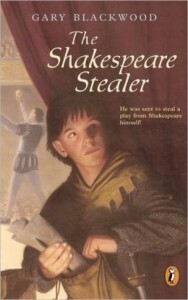 The Shakespeare Stealer (1998), Shakespeare’s Scribe (2000), and Shakespeare’s Spy (2003), by Gary Blackwood. Penguin Group; Puffin Books. Age/interest level: 12-16. Of course he hadn’t, and we became friends, but that was some look I saw on his face. The Shakespeare Stealer and its two sequels caught a wave of enthusiasm for the Bard that began in the early 90’s, and they remain a modern-day classic in the field. The idea began with the author’s discovery of an old form of shorthand invented by Dr. Timothy Bright. Our protagonist, an orphan boy known only as Widge, becomes an apprentice of Dr. Bright, learns his system of “charactery” and unwittingly (at least at first) transcribes sermons from other parishes for the Doctor to pass off as his own. Widge seems headed toward a scholarly career–or jail–until a black-bearded, scar-faced stranger shows up at Bright’s home and transports the boy to another master, who enlists him into mysterious enterprise: he is to go to London and transcribe a play. Widge barely knows what a play is, and the theater world of London is surpassing strange, but he tackles his job with the zeal of one who has no choice. A few plays go into his table-book before he’s caught by an actor in the company. The only pose Widge can think of is that of a star-struck theater-wannabe, and just like that, the Company takes him in. It’s not merely the actor’s trade Widge has to learn, but also how to be part of something: a family, a company, a cooperative enterprise. Nothing is more cooperative than producing a play, and Widge’s world becomes a stage, as Master Shakespeare would one day put it. There’s plenty of drama within the company but also outside it, as Widge’s former master hasn’t forgotten what the boy was originally employed to do. An appealing protagonist, clearly delineated characters and a strong, swift-moving story combined with authentic period details to make The Shakespeare Stealer a success, so much so the Blackwood penned two sequels: in Shakespeare’s Scribe, Widge goes on tour with the company when London is struck by another visitation of the Plague, but mischief and intrigue follow him, and he doesn’t quite escape the consequences of the plague either. In Shakespeare’s Spy it appears that someone is again stealing plays from the company, and suspicion naturally falls on the original “stealer,” so Widge must find the true culprit in order to clear his name. But he also learns something about romantic love, and art, and human frailty. He grows up a lot over the three books, and we finally leave him with the assurance that he’s acquired some extraordinary resources to live by. The Shakespeare Stealer had quite a journey to publication—can you give us a quick tour of how that happened? I actually wrote an early version of the story way back in 1970; it was aimed at adults, not young readers, and the protagonist was Dr. Bright, not Widge. In 1989, after I’d had three juvenile novels published, I resurrected the idea in its present form. I submitted it to roughly 40 publishers, and had a couple of close calls, but it wasn’t until 1996 that I found an editor willing to take a chance on it. It was another two years, before it finally appeared in print. So, 28 years in the making, you might say. What’s your target audience, and what do you hope they take away from the series? 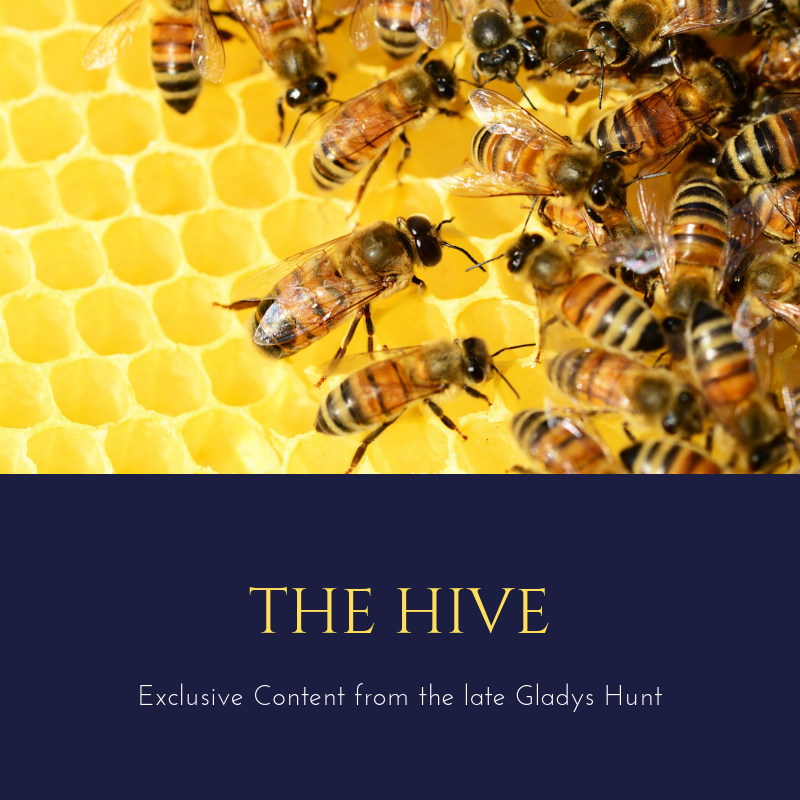 I tend not to think in terms of a particular type or age of reader; I just try to write as good a story as possible–and I often get feedback from adults who have enjoyed the book. My fondest hope is that I’ll excite in the reader a desire to know more about Shakespeare and his work, and I’m always gratified when a young reader contacts me to say that, though they previously knew nothing about the Bard and cared less, my book made them eager to see his plays performed. How do you see your protagonist, Widge, developing over the course of the series? Well, I had no intention of writing a series; I figured that, once Widge found a place where he belonged, his story was over. But of course in real life things are never that simple; finding ourselves and making our way in the world is a continual struggle. So, even though Widge does gain confidence and skill and knowledge about himself over the course of the next two books, his struggle still isn’t over by the end of Shakespeare’s Spy. That’s just as far as I was able or willing to explore it. Obviously your involvement with the theater contributed to these novels, but how did or does it contribute to your other novels? Several of my other books have protagonists who are performers of various sorts. And a couple of others deal with characters who are quite adept at lying, which is a kind of performing, too. But I think my background in theatre and playwriting has also helped me visualize my books as I write them, so that it’s almost like watching the events play out. It’s also honed my ear for dialogue, and taught me a lot about dramatic structure. One thing I like about your novels is your use of detail. How do you go about researching and using what you find? I’ve gotten to be a bit obsessive about detail, if the truth be told. I always do way more research than I really need, but I figure the more concrete details I have about a time period and place, the more I have to choose from. And I’m always stumbling across little factoids that actually help determine the course of the story. For example, while researching my latest novel, Curiosity, I discovered that Edgar Allen Poe was fascinated by the chess-playing automaton that’s at the heart of the story, and so Mr. Poe ended up playing a major role in the book. The internet has made an immense difference in the availability of research materials, of course, and it’s been a major boon for me, since I no longer live close to a decent university library; that used to be my main research resource. Have you ever acted any Shakespeare roles yourself? What were some of your favorite parts? My only experience with acting Shakespeare was when we read Macbeth aloud in high school. But I’m now involved with an annual “Bard by the Bay” production here on Nova Scotia’s North Shore, so I get to direct lots of scenes from Shakespeare, and I’m loving it. The only scene I’ve actually appeared in was one (from the brilliant TV series Slings and Arrows) in which I played a director who’s trying to teach an airheaded young actress how to play Ophelia’s mad scene. I keep thinking that I’m going to wind down the novel writing phase of my career and concentrate on plays, but the Muse keeps insisting on throwing book ideas at me. The latest, which is just in the planning stages, is about a boy who has always lived a primitive and secluded existence with his father in the wilds of Maine, and then is suddenly forced to rejoin society. We’re looking forward to reviewing Curiosity this summer! In the meantime, don’t miss our mentions of Gary’s Second Sight and Around the World in 100 Days.